20 year old UVM Undergraduate with great references and years of experience! 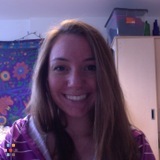 I am an undergraduate student at the University of Vermont and I am looking for a summer babysitting or Nannying job. I am home from the beginning of May to the very end of August and potentially through December. My schedule is completely open except for one week in June. I have been babysitting since I was thirteen years old, starting as a mothers helper and eventually worked my way up to Nannying. I have two younger brothers so helping around the house and with smaller children has been something I have done my entire life. I also have experience with severe allergies and learning disabilities. I am CPR certified and have lifeguard qualifications as well. I have yet to meet a child that doesn't like me so hopefully I will be the right fit for your family!